Submitted by CAphyl on June 21, 2015 – 3:14pm. Baked a lot today to take to a friend’s house for Father’s Day to share. 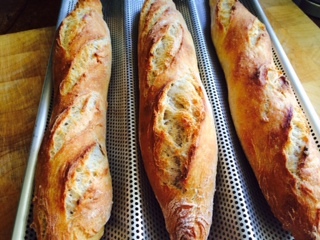 Made David’d baguettes and my old standby classic sourdough. 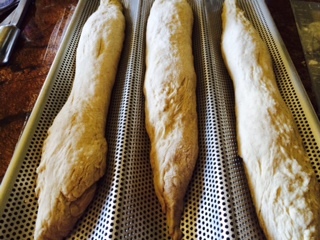 I really hope our friends enjoy the bread. Sorry I have been off the site so much. I have been traveling like crazy and baking less. I’ve got to come up with a new recipe to share. I sure loved the cream cheese batards that is currently being featured on the front of TFL.